Product categories of Grouting Material, we are specialized manufacturers from China, Grouting Material, Cement Grouting Material suppliers/factory, wholesale high-quality products of High Strength Grouting Material R & D and manufacturing, we have the perfect after-sales service and technical support. Look forward to your cooperation! KS series of grout is a high-tech one-component grouting material using Portland cement, pre-grade filler and additives that control the expansion in the plastic and can reduce water consumption. Widely used in free-flowing precision grouting construction, including heavy machinery floor support, crane tracks and pillars foundation, but also can be used as mast, anchor bolt of the excellent reinforcement of grouting material; also is a good material for concrete repair works; design Beneath bridge supports, posts and flanged lamp posts, heavy pillar bases, and machine bases with dynamic loads. Such as thermal power plants, large paper mills, steel plant, steel mills, large machinery and equipment plants, cement plants. According to the American Standard ASTMC827 plasticizing stage test expansion rate of 0.5% or more, the long-term expansion of the curing stage to meet the requirements of the relevant standards. The flow distance should be determined based on the slit width and the liquid flow indenter to ensure that the grout flows from the gap to the front exit and the gap must not exceed 200 mm. If you guarantee a pressure head of 250mm, the maximum flow distance of up to 3 meters. Note: The base surface must be constructed with oil-free and non-adherent loose material. If the surface of the concrete defects or slurry is cut intact before construction, the screw holes or solidified hole dust or sand blown net. Clean, no oil and other impurities must be removed to provide relief holes to ensure that all isolated areas are ventilated. Pre-soaked: A few hours before grouting, the cleaned foundation must be submerged in water. Remove water from the free water and the hole just before pouring. To achieve the desired consistency, the amount of water must be accurate, the selected amount of water after slowly pouring it into the mixing vessel, while stirring feed, add complete package and continue stirring for 3-4 minutes until evenly dispersed, no knot Block phenomenon so far. The well-mixed material is poured over a period of 10 minutes to fully benefit from the expansion process. Each single perfusion thickness up to 200mm, the minimum width of the seam is 10mm. Such as the thickness of more than 200mm. Aggregate grading (stones up to 10 mm in diameter) shall be added to the slurry to reduce the heat of hydration. The amount of aggregate used shall not exceed 1 part by weight of 1 part of KS series grout. When the temperature drops below 2 ° C, warm water (30-40 ° C) may be used to accelerate the strength increase and the cementitious material should be handled in winter. When the temperature exceeds 35 ℃, grouting material should be stored in a cool place, and cold water mixing. Conservation:After grouting is complete, all exposed parts should be cured with Cask Cares or wet sacks. KS series grout contains cement powder, which when mixed with gypsum or when wet, releases alkali that is harmful to the skin. Avoid inhaling dust and avoid touching the skin or eyes. KS series grouting material intact material in dry place storage period of 12 months, if stored in high temperature and high temperature storage area will be shortened. 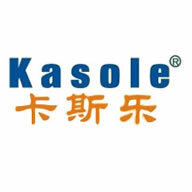 Kasler Building Materials Co., Ltd. guarantees the quality of its products manufactured and sold, and sells it according to the agreed sales terms. Casper pledges to make every effort to advise clients on the construction of the project, recommending the use of solutions and materials. However, as we are unable to exercise direct and continuous control over the use of our products for sale, CASLUS BUILD MATERIALS CO., LTD can not afford to use whatever advice our customers ultimately end up using and recommending solutions and materials The use of the product caused by a variety of direct or indirect responsibility.